Portland’s architecture and neighborhoods reflect the city’s cultural and ethnic diversity. Our education programs and tours promote conversations about how our historic built environment has over time shaped and been shaped by the rich and multi-layered fabric of our society and our contemporary environment. Our advocacy is directed at keeping Portland a just, sustainable, and livable city. To get involved in our work, sign up to be on our email list. AHC participates in Museums for All, so admission is free with a SNAP EBT card. Use your Chinook Book coupon to get 2 for 1 admission. The A Loop stop closest to the AHC is SE MLK and Morrison. The B Loop stop closest to the AHC is SE Grand and Morrison. View this original exhibition about the Portland and Oregon architect Will Martin, best known as the lead designer of Pioneer Courthouse Square. Businesses and members can mingle to share services and get advice–on April 22! 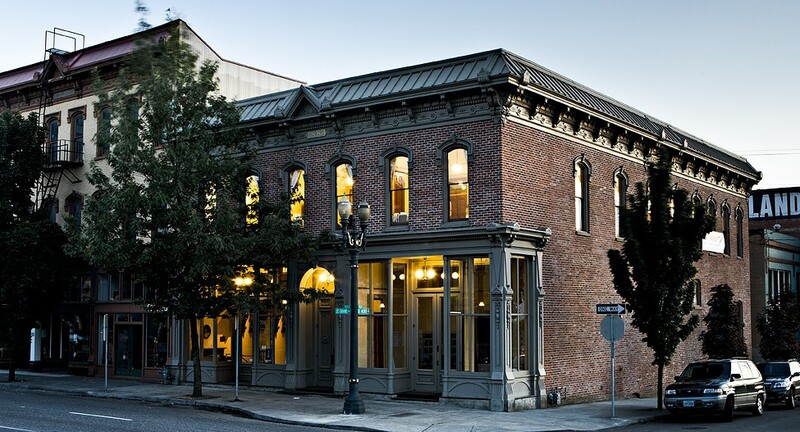 Learn how Portland came ot boast one of the largest collections of cast-iron decorated buildings in the United States.